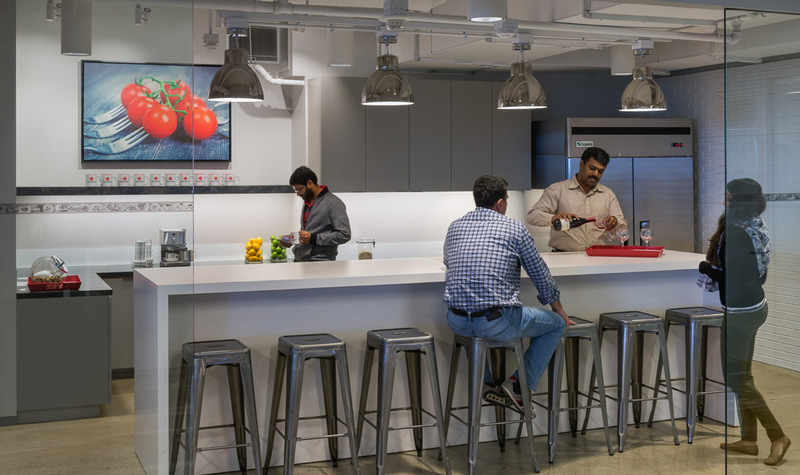 OpenTable’s “story is one of connection”, a story that is weaved throughout their offices worldwide and is well-exemplified in their newest location in Hollywood. 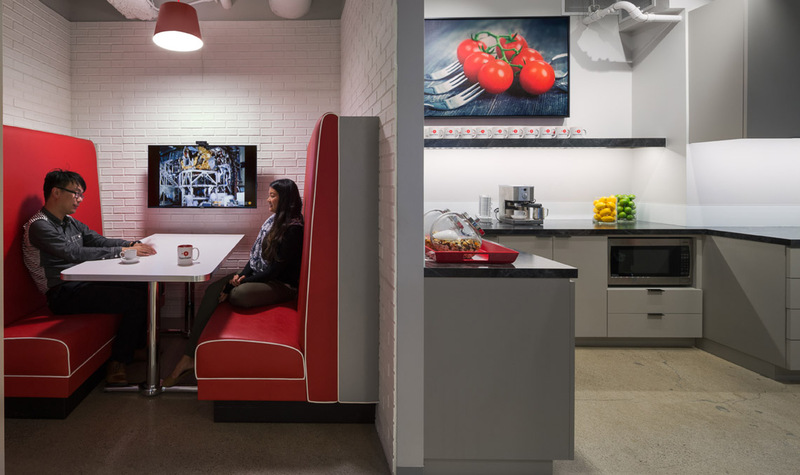 The world's leading provider of online restaurant reservations sought an open-concept office that stylishly supports their flexible workstyle, while emphasizing the lively interaction that happens within their company and at restaurant tables all around the world. 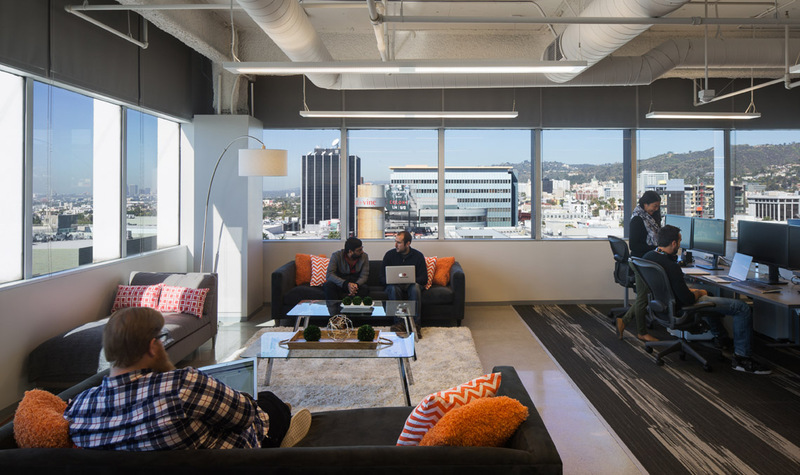 Upgrading from a smaller Beverly Hills office, OpenTable chose the 4,600 square foot Sunset Blvd. location so they could be in the middle of the entertainment capital of the world, where trends are born and “hip” is the default. 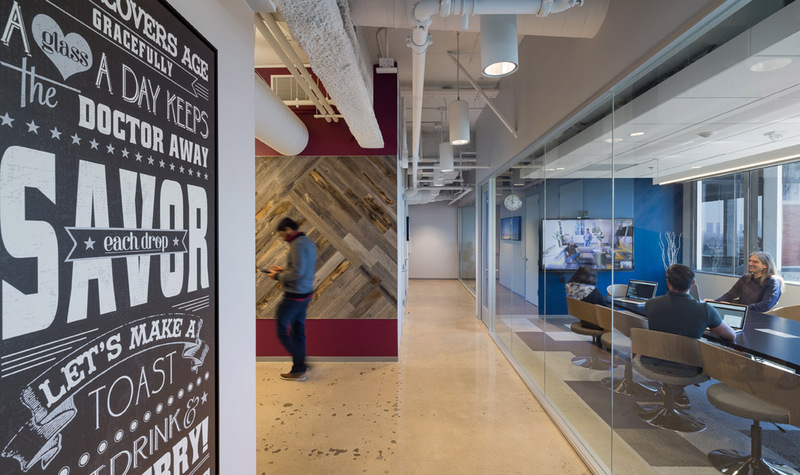 As architect of record for the building, Kamus + Keller carefully balanced the aesthetic objectives of the client with the fast-track scheduling and financial requirements of the landlord. 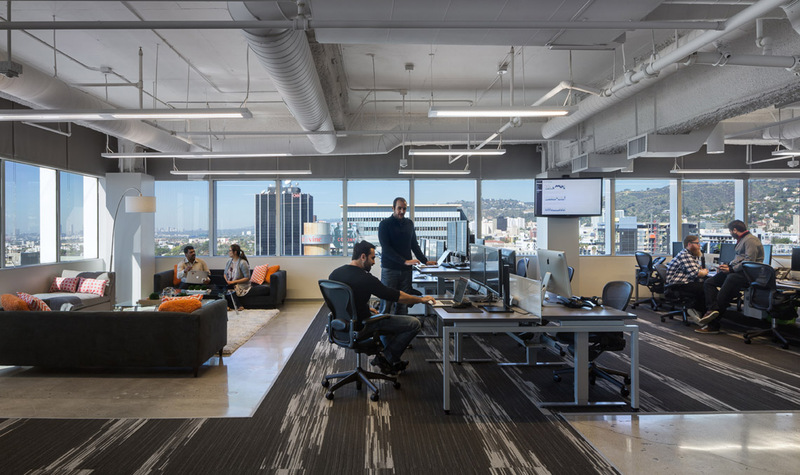 The space incorporates an energetic yet economical blend of industrial, minimal, mid-century and traditionalist elements: metal, concrete, exposed ductwork, subway tiles, reclaimed wood, and oversized graphics are all part of the eclectic mix that reflects the diversity of LA style. 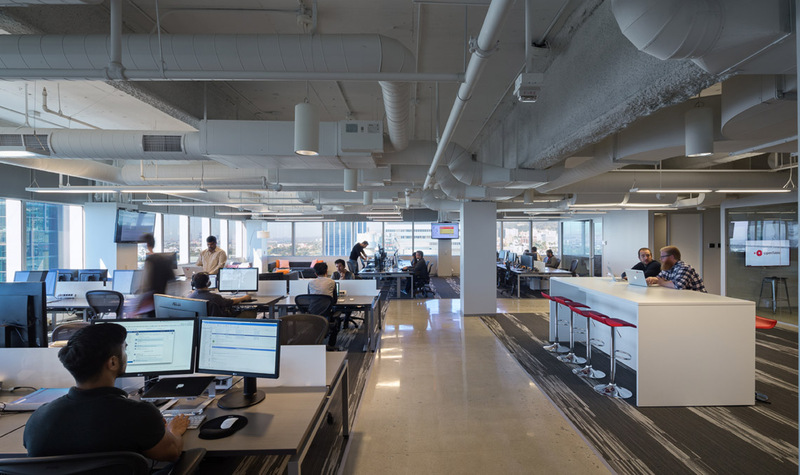 As imbuing the environment with a collaborative spirit was the primary design objective, no private offices are to be found within OpenTable. 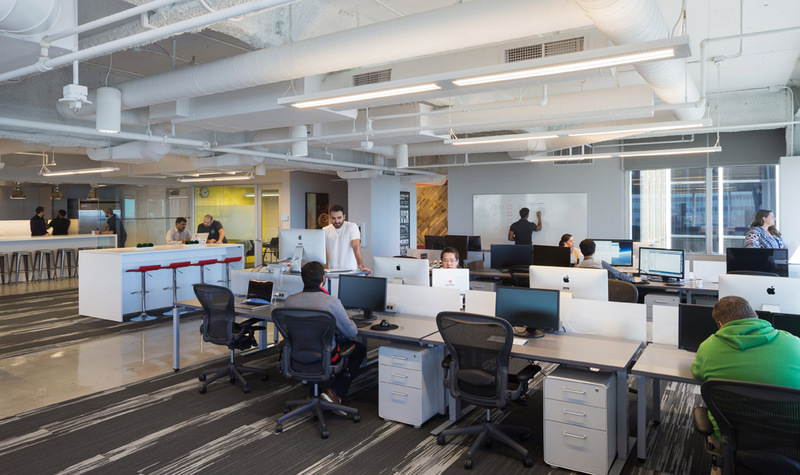 Instead, low-level workstations support the cooperative nature of the business, with several meeting rooms and multipurpose gathering areas throughout. An expansive island with generous snack storage is the contemporary epicenter of the kitchen area, with a white-piped red booth tucked in the back corner, a winky nod to the memorable diners of LA’s golden age. A formal conference room lives beside the office playroom, equipped with dual television screens, Sony PlayStation® and a fully-stocked bar. 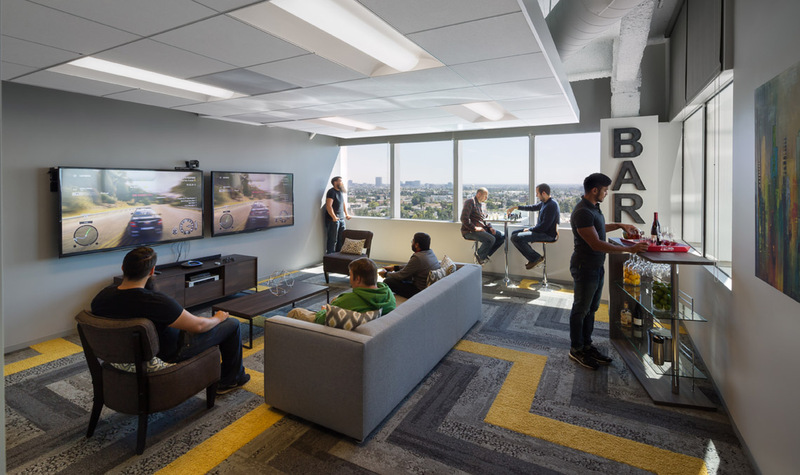 A living room-style breakout space allows employees to converse and relax surrounded by the city’s breathtaking views. 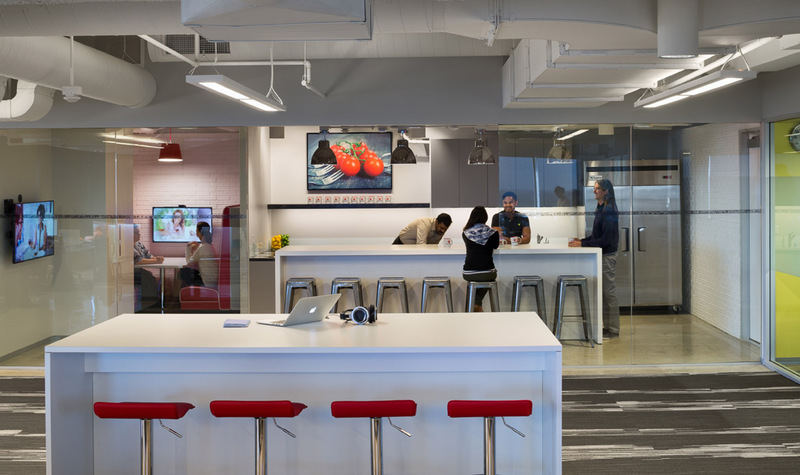 The inventive space quickly found favor amongst OpenTable’s staff. 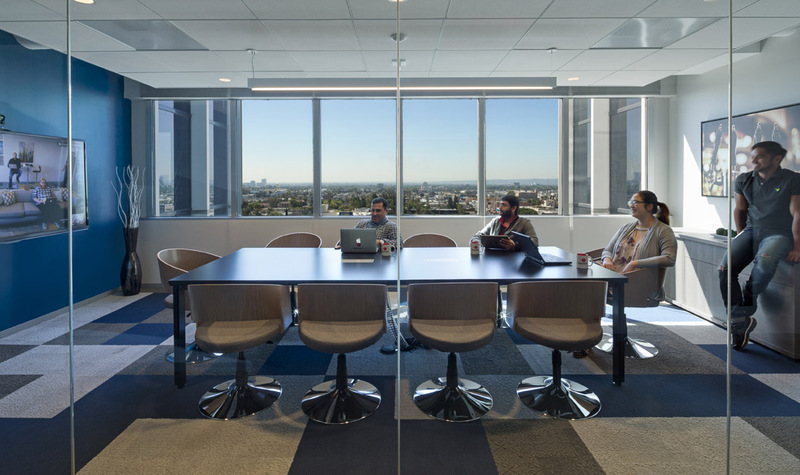 “People stay in the office longer because they’re more comfortable here than at home,” says one employee. Another states “I’d drive in traffic for this!” Can any higher praise be given to an office in Los Angeles?